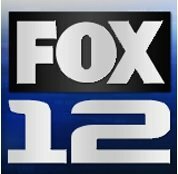 News TV Channel / KPTV, channel 12, is the Fox-affiliated television station for Portland, Oregon. The station is owned by Meredith Corporation, as part of a duopoly with MyNetworkTV affiliate KPDX (channel 49). The two stations share studios on NW Greenbrier Parkway in Beaverton, while its transmitter is located in the Sylvan-Highlands section of Portland. Master control operations for both KPTV and KPDX are located at Meredith's West Coast hub facility at the studios of Phoenix, Arizona sister station KPHO-TV.